The Law Offices of Deborah Alexander, Attorney at Law, P.L.L.C. offers payment plans and a free initial consultation with a Seattle criminal lawyer, and is located in the center of downtown Seattle. The law office of Deborah Alexander, Attorney at Law, P.L.L.C. represents clients accused of D.U.I., misdemeanor charges, felony offenses, traffic violations, and juvenile crimes in Washington State Courts. As a former prosecutor, Ms. Alexander has a unique understanding of how the criminal justice system works and how to best ensure that her clients receive a favorable outcome. Deborah Alexander, Attorney at Law, believes strongly in providing personalized attention to every client. She is knowledgeable, aggressive, professional, and a zealous advocate for her clients. Seattle criminal attorney Deborah Alexander focuses on the aggressive defense of charges including D.U.I., drugs and narcotics charges, prescription drug charges, firearms and gun offenses, theft and property crimes, domestic violence, assault, burglary, robbery, misdemeanors, traffic violations, and juvenile cases. Deborah Alexander represents defendants at all stages of a criminal proceeding, from investigation and arrest to arraignment and trial. The practice strives to help every client understand the charges, analyze the issues of the case, explore the options, and present the best defense. If you or someone you care about has been accused of a crime or questioned by the police in King County, Pierce County or Snohomish County including the cities of Seattle, Redmond, Bellevue, Kent, Kirkland, Renton, Issaquah, Edmonds, or in the greater Western Washington area, we encourage you to get in touch with a Seattle criminal attorney at the law office of Deborah Alexander, Attorney at Law, P.L.L.C. as soon as possible. 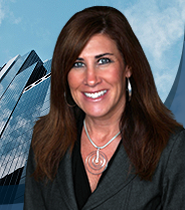 Deborah Alexander goes above and beyond to defend her clients. Deborah Alexander takes the time to get to know each of her clients. It is this personal attention, devotion, and passion that gets results! Seattle criminal lawyer Deborah Alexander understands the court system, rehabilitative programs, and the resources available in the community to best serve her clients. Deborah Alexander's understanding and experience with the criminal justice system often times provides her clients with options to resolve their respective cases. Options that may be available depending on the facts and circumstances of cases are: (1) Zealous representation at trial; (2) Effective negotiation that can often lead to a plea deal to a lesser charge; (3) some cases may qualify for Drug Diversion Court or Mental Health Court. Successful completion and graduation from Drug Diversion court can result in a dismissal of a felony charge. Call Attorney Deborah Alexander to schedule an appointment at (206) 403-3426. I was represented by Deborah Alexander. She truly saved my life. I was charged with a felony criminal case and there was a substantial risk that my freedom would be taken away. Deborah Alexander goes above and beyond for her clients! She has incredible energy, she cares about her clients, and she will provide you will an effective defense for your felony or misdemeanor case. I did not know that the court system often times has rehabilitative means to resolve cases. Q. Does your firm offer a free initial consultation? Q. What types of criminal cases do you handle? We serve the following localities: King County including Auburn, Bellevue, Bothell, Burien, Federal Way, Kent, Kirkland, Redmond, Renton, Sammamish, Seattle, Shoreline, and Woodinville. Copyright © 2018, Deborah Alexander, Attorney at Law, PLLC.